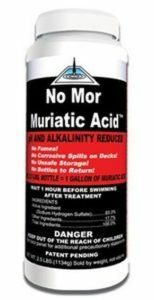 REDUCE YOUR pH AND ALKALINITY WITHOUT THE HARSH FUMES! EASY AND SAFE STORAGE. ONLY WAIT 1 HOUR BEFORE SWIMMING! NON-CORROSIVE! THIS GEM PREVENTS ALGAE, SLIME, AND MOLD FROM GAINING A FOOTHOLD IN YOUR POOL. KEEP YOUR WATER CRYSTAL CLEAR ALL SEASON LONG! ENHANCES SALT POOLS YET WORKS WITH ALL SANITIZERS. CLEARS YOUR WATER WHILE REMOVING OIL AND SCUM. ALSO, AIDS IN REDUCING METALS. REMOVES AND PREVENTS STAINS IN SALT WATER POOLS. 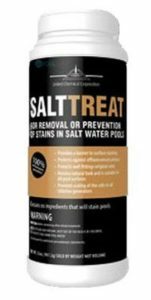 WORKS ON ALL POOL SURFACES AND HELPS TO PREVENT SCALING ON SALT CELLS! RESCUE TREATMENT USED TO CONTROL BLOOMS OF BLACK ALGAE. 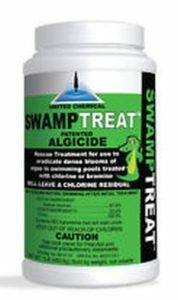 RESCUE TREATMENT TO CONTROL BLOOMS OF GREEN ALGAE. FOR USE IN ANY TYPE OF POOL OR SPA. WORKS WITH ALL SANITIZERS. REMOVE TOUGH STAINS WITH AN ENVIRONMENTALLY FRIENDLY, NON-TOXIC, PHOSPHATE FREE SOLUTION.